Hasn’t the Lumberjacks Basketball team had a good year? The whole of East Texas is proud of them. I admit it I’m a fan – SFA has a strong basketball tradition. In the old days when I went to collage, basketball was a big deal here. I know what you are thinking. “Why are you writing about sports. This is the gardening page!” I’ll get to that in a moment! But, for just a second, let’s let gardening sit on the bench off court. I would like to talk about “kismet” and SFA basketball. Back in the seventies my future wife Leabeth, then a high school senior, was thinking about where she was to go to college. Baylor? (She is a Baptist), UT? (she is a loyal Texan). Stay in Fort Worth and go TCU (where she had grown up)? The questions swirled in her head. So, how did she decide? “Basketball” Somehow she had heard that SFA had good Basketball teams. She liked tall guys, basketball players are tall…etc. etc. So, she made the trip to Nacogdoches to see the school. She fell in love with the campus instantly. The great pines, beautiful landscaping, azaleas etc. She was sold! I’m positive there were many solid basketball reasons for Coach Underwood to come to Nacogdoches and SFA, but the campus’s beauty played a part. I’ve heard it innumerable times over the years. 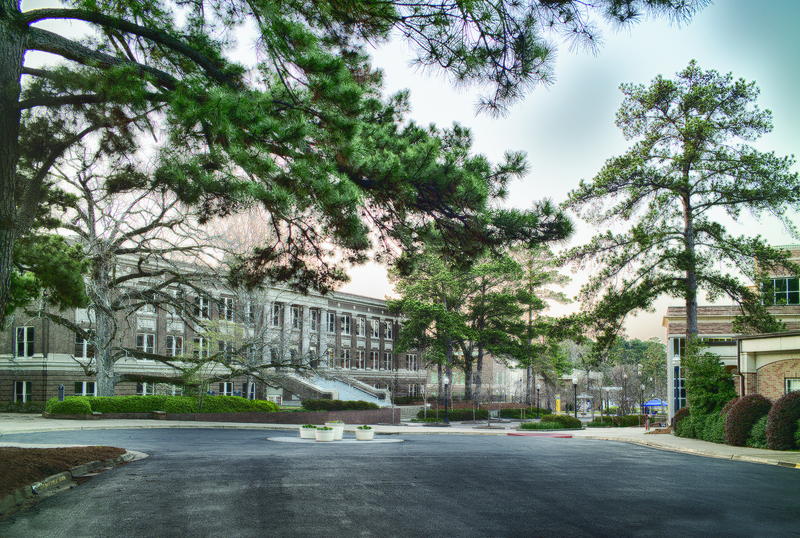 “Once I saw the campus I knew it was the school for me.” The beauty of the SFA campus is the school’s silver bullet for recruitment. Outdoor green spaces have incalculable benefits. Think of your favorite cities of the world. I’m sure it is the parks and gardens that are part of the attraction for New York, Savanna, Paris, Prague, London, etc. It is the public green spaces that welcomes the visitor and ties the hometown community together. Think of your favorite streets. It’s the tree-lined streets that we hold in reverence. It is cities that are dotted with parks that we consider advanced and civilized. These are places where people as individuals are drawn into a community. These public spaces- whether they are parks, plazas, promenades or public gardens- have an incalculable power to bring people together. They are the “kismet” that sold my wife on SFA. It was the beauty of the SFA campus that made the final cosmic argument, which convinced a basketball coach that Nacogdoches and SFA, was “a special place”. This entry was posted in Gardening, Nikon, Words, WORDS AND PICTURES by Jeff Abt. Bookmark the permalink.